You are currently browsing the category archive for the ‘Affordable Healthcare’ category. There is a lot they don’t understand. Economics for one. Half of our Senate was born before the Korean War. They were working adults before Martin Luther King was shot. One fourth of our Senate was born before or during WWII… They first went to work under Eisenhower… One tenth of our Senate was born … during the Great Depression. They first went to work during the Korean War…. They’ve heard propaganda from Hitler, Mussolini, Tojo, Stalin, Khrushchev, Mao, Brezhnev, and Reagan. They know how it works, and what and what not to do. Currently many are announcing the CBO (Congressional Budget Office) said Obama care will result in 2.3 million lost jobs. Perhaps you saw some headlines, or more likely it was on your Facebook or buried in your spam email who’s owner never took you off their list, maybe you asked, maybe you didn’t. That is a lie. Yet for those who don’t like Obamacare because the first word is Obama, that is all they hear. The Congressional Budget Office was clear to dispute that claim…. We didn’t say that they said. All we said was that we estimate that 2.3 million of those currently working bum jobs only for the benefit of the companies’ insurance coverage, will now be free to escape. They don’t have to work at a bum job just for the insurance benefits anymore… They can buy their own. Isn’t that a good thing? Now people can afford health care because it is affordable, so they can stay home and create their own businesses, instead of wasting their talents doing menial activities? 46% of those in minimum wage jobs have college experience. So what the ACA now does, is allow some of these people to escape the confines of minimum wage, being there solely for the insurance benefit, and now open those jobs for young people… A group of people who’s unemployment rate is over 26%…. So we put our young to work. We allow older people stuck for so long, to finally follow their dreams. And the same jobs that were there before, are now still there with happier workers filling in their slots…..
Great, huh? What a great country is this America. But today, both Boehner and Blunt both cited the meme that Obamacare would cost 2.3 million jobs; you may have also heard others……. No, that is not the case at all. 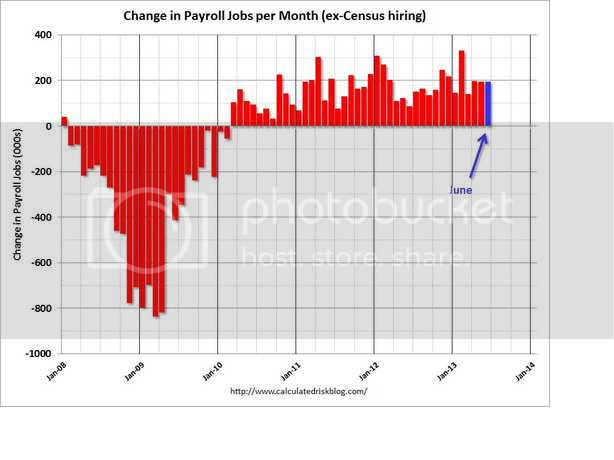 The medical employment field has actually grown in January because Obamacare became official on the 1st…. When will America realize that until we remove the liars… our Congress will continue to only deal with insults, just to keep it from having to ever put out real results. That is happening now. America is focusing on what is real and factual, and ignoring all that these people say to get camera time…. We’ve only had one month of Obamacare. But to anyone following, this thing Obamacare is at least as good as was Medicare or Social Security… despite the problems all those government programs generically have…. This bears more exposure. Originally from Allan Loudell’s blog on WDEL. I would have to disagree with XXXX’s current political assessment. I can see how he would be misguided. If one associates only with those who think like ones self, then one reinforces ones opinions instead of challenging them…. XXXX feels like people don’t remember the shutdown… He thinks that people are more concerned about losing their insurance. If one looks at Breitbart and Red State, one can see why he feels that way. They talk of nothing else. But the rest of America all suffered from feeling embarrassed that one wing of us was so childish, they shut down the government, then capitulated completely, getting absolutely nothing to gain from it. In other words, all America suffered, not one single person gained. Ironically, just returning to normal was heralded as a victory for the American People, and allowing the return to normal was cast as a blemish to the Tea Party. That stains like child abuse; they will never live that down. Now lets take the insurance exchange debacle. If you randomly pick 1000 people, 800 of them already have insurance so are unaffected. That leaves 200. Out of those 200, 170 of them were previously uninsured. So getting insurance for the first time, is a bonus to them. We are left now with 30. 30 people out of 1000 who currently buy their own plans on the open market. Of these 30, 8 will save money either through subsidies or through more direct competition. 9 will go through the process and find they are spending relatively the same. Unfortunately for those 13 left, they will have an increase in their premiums. That is 13 out of … how many? 1000. Only 13 out of 1000 will have their insurance go up. Of course, with entreaties out to “send us your story” these 13 have a pipeline right up to the top of national media from where it is spewed out like treated water at a sewage treatment plant…. But in the end.. by next November 4th, exactly 345 days away, those 13 will be drowned out by the 987 who received no harm from Obamacare. The problem is not your facts. 13 people will pay more. It is with your getting your facts from only those people who want you to hear one side. Good luck winning Congress back with 13 people. There is a limit on how much they can take out of you. No matter how cheap is your employer, you can afford to get screened for almost all killer diseases before they KILL you. You can afford birth control. Instead they all talk about how bad a website is… Isn’t that dumb? Yes, it the dumbest thing that has been talked ad nauseum in a year noted for dumb things talked about ad nauseum…..
But….. With the Affordable Care Act rolling out this year, there is a tremendous opportunity for radio broadcasters to develop and uncover new and evolving revenue streams from this legislation. Some 500 broadcasters recently sold out a Radio Advertising Bureau webinar on harvesting Affordable Care Act-related advertising. We’re already hearing (and seeing on TV) ads for “The ObamaCare Survival Guide,” and help-us-repeal-it fund raising spots hosted by Senator Ted Cruz. But Burke says that’s nothin’ compared to what’s down the road. Expect Help Wanted ads for call centers and other process-related job recruitment….. So, don’t beat up too hard on those controlling your programing. They do have a fiduciary responsibility to perform, and like everyone, they too have people demanding more money out of them… The more they create concern in you, the more they can charge those whose incomes depend on having the ability to reach the “most” of you…. to hope to benefit politically from all the resulting turmoil. If you are Republican and this is NOT how you wish to be represented, change your party affiliation to Independent now. The tycoon wishes to remain anonymous because he is one of the most solid Republican monetary supporters. But when asked how he reads this chart, here is his compelling answers…. “Aside from the obvious, that we have had 39 months of continuous private sector job growth, something not seen since the Clinton Era, I suppose the biggest question remains as to “why” the glitches. Why are there parts that drop down in the recovery and seem to go backwards? Here, let’s just go through the time-line. Let’s start at the bottom of the inverted pyramid… The general climb out of the hole was due to TARP money which jump-started construction projects and the big infusions to banks which kept the economy from falling off the cliff into the pit of no return. It culminated with a big push of Census hiring in March of 2010. Most attention was on Obamacare at that time and with everyone’s lack of attention from the president, congress, and corporate, things languished for several months. Also one must remember that the Republicans looked like they would make big gains in 2010 and turn all Obama’s directives around. That would be very bad if it were so, and no one sank any money into investment until the election determined things. Those who figured Obama would win, (Northeast and California) invested heavily in October only to be mistaken and with the Tea Party rattling their sabers upon their win, no one invested anything at all. We all thought the economy would crash and burn again. Up until the election we fully expected the Bush Tax Cuts to be eradicated, so our goals had been to move our funds over into areas where they would not be taxed, primarily investment into our own companies. As the tax laws became extended, many of us were not in the right zone at the right time to take advantage of the two year grace period that tends to better reward those investing in liquid assets as opposed to longer term job creating ones. By 2011, in February we realized the Tea Party was nothing but a boil, a cyst, a sham, and things would hold current at a status quo. February, March, and April we made plans to go forward and grow. Then in May, the first debt crises occurred and shocked, we all pulled back. The Tea Party did not vote on its unceremonious raise and emergency measures were begun to be implemented by the Federal Treasury. In June, we rode our previous success fully betting that no one, not even the Tea Party would be foolish enough to destroy America’s credit rating for their own political gain. By July, we knew we were horribly wrong. We pulled back on every investment option we possibly could. The Grand Design ($4 Trillion Budget Arrangement) never did come about. If it had we would have thrown everything into getting on the ground floor of the next boom. But by August 2011 we were confident enough to begin putting some of our extra money now trickling in over to self-investment and it continued straight through January 2012. That was when Republicans began their Primary campaign in earnest and the Democrats were silent by having no primary or no opponent to which to reply; all bets were that the Democrats were very vulnerable. In fact, it looked like it could be a clean sweep of both Houses and the Executive. This would mean all new investment was futile. The Fed would raise interest rates according to all these Republicans against soft money, costing banks billions and overall investment would slow to a crawl. This slide lasted until the juxtaposition of the two party conventions back to back, which gave us all a clear idea of who would win. I mean who would you want behind the shoulder advising the policy of the next president: Bill Clinton or Clint Eastwood? The fruits of our investments through Sept and Oct. paid off through November and December. Although we too had quite a scare after the first debate. Then came the Sequester. It is hard to remember now that we really thought we were going off a cliff back then. Once settled, January’s hiring was alread done but February received the spike of top money shifting from taxable investments over to job producing non-taxable investments. The stock market jumped as world money became content that America had finally finished with its infatuation that the top 1% carry the economy as a whole and should be taxed less, jumped back in. Problems in China and Europe made sure we were the world’s safest investment at the time. Currently it appears that our entire economy has matured in 2013… if anyone looks at the chart, you see that the spike in February almost perfectly cancels out the dips in January and March, and that the average across all 6 months is very consistent, almost the same number. In fact, we have plateaued. This is where our economy is right now, growing steadily with population growth and nothing more. There is nothing any more that anyone can do to increase private sector hiring. “Oh” I said, “so now you are a Democratic supporter?” lol. The “In-Affordible” Health Care Acts….. Since the Tea Party entered the scene, there have been 34 votes to repeal Obama Care, all passing the House and all dying in the Senate. These are feel good bills being proffered by Congresspeople to satisfy their most ardent critics back home. If Congressperson “A” proffers a bill to abolish Obamacare, … Congressperson “B” does exactly the same copy two weeks later. Congressperson “C” then follow up with the same copy the next month. These votes are not free. They take time away from other duties. If this time were spent on something that would pass the Senate, all of us might be better off. America can’t afford Republicans any more. “Blah, blah, blah Obamacare”. say Republicans. I say “Get over it.” This day the House is going to vote on Michelle Bachman’s House Bill Number One, to completely abolish Obamacare…..
Of course it is ridiculous. And if the entire Republican contingent votes to undo it, the entire Republican contingent as I have said all along and most of America agrees, is ridiculous…. The best thing Republicans can do for their party is censure Michelle Bachman by having this bill go down to inglorious defeat…. Because this will bludgeon them in 2014. Obamacare is good. People want it. We need it badly. We have it. No one is going to take anything away from the American People that they want without losing the fight…. Partisan Politics Above The Nation’s Good... That banner hangs in the RNC’s Washington DC Lobby…. and is the first thing one sees upon stepping in…. The right is rejoicing because within the policies of Obama-care lies wording which they say, precludes Obama from using his executive order to ban weaponry or ammunition. They are rather ecstatic right now… Harry Reid inserted such language protecting guns and ammo within the gigantic health-care bill, and only now has it been uncovered. The original intent was to get the NRA to back off trying to kill the bill. The NRA did, and the bill passed… and this past summer was validated by Justice Robert’s decision. The amendment is being touted on Right Wing blogs as Senate amendment 3276, Sec 2716, part c “Protection of Second Amendment Rights” They then admit they were intimidated by the gigantic size of the bill to look at the text directly. They do have a point. Turns out it is hard to find. For those wishing to see it in person, it is here on page 2037 beginning on line 23. The first provision is related to the Wellness and Prevention program. Since America leads the world in gun deaths, there was conservative concern that to stem the cost of national insurance, the Wellness and Prevention program would price out a person as a result on whether he had guns or not. This language simply removes that concern from the table. They may ask how many sexual partners you go through in a month, but not how many guns exist in your arsenal. Basically this limited provision applies to medical personal. 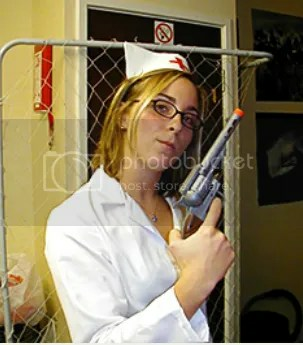 Just as under HIPAA they cannot disclose personal matters without a release form, that now applies to lawful weaponry. including guns and ammunition…. This language expressly states that under all auspices of those organizations directly under the jurisdiction of the Secretary of Health, none can report on the possession of legal firearms to anyone. This law was inserted to combat fears like this: if a legal firearm owner were to show up with powder burns on his skin, the knowledge that he had a firearm, could without this specific clause, be divulged to authorities. It can no longer be so. A pretty nice nod to the gun community and the NRA. But, in the Right’s initial exuberance coming no doubt from not investigating the actual text itself, the idea that this protection prevents Biden and Obama from using Executive Orders to ban certain types of guns, is overstated. This is a medical bill, and the language specifically links this protection to the medical community. Furthermore, the protection extends by specific wording to “legal” firearms and “legal” ammunition. Once the Executive order is put into effect banning certain types of firearms, those firearms are no longer “legal”, and can, if it is the right thing to do, be reported to “legal” authorities. The rest of the writing pertains to the prevention of halting a person’s Affordable insurance, simply because they have a legal firearm. Note again this only applies to “lawful” guns and ammunition. Unlawful ones can and should be impounded. So although I was semi-deflated when I first heard the news that a law preventing the national registration of any type of assault rifle or mega-clip ammunition clip had been sneaked into the Affordable Care Act, now after seeing the text itself, I am relieved it can still be done. Just not done by any department under the authority of the Secretary who is placed in charge of the Affordable Care’s enactment….. So yes, the President can still ban guns by an Executive Order, thereby navigating around the irrational objections of 67 out of the 535 people voting in both houses of Congress. This shows a problem and why blaming each other is a distraction being fanned by the core of the problem itself. The personal part of insurance rates have gone up, and employees are yelling: what do you mean I have to pay more… I’m paying double already! The corporations are telling their employees. We can’t afford to take up more of your insurance rates! We’re paying double already…. The big answer is why? When George W. Bush ran for president, the following groups funded over 90% of his campaign. We know what happened to energy during his two terms. We just learned what happened to medical and insurance that same time frame. 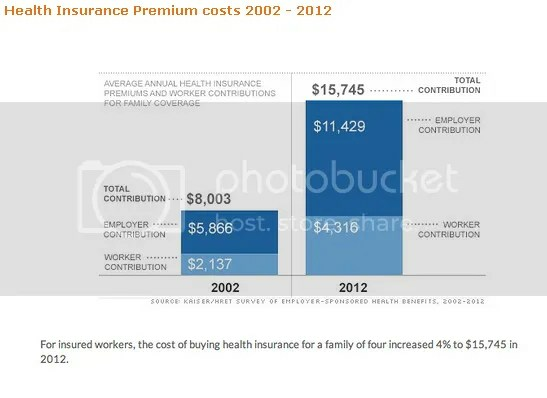 Obviously the extra money is going into the Medical Corporations provided insurance companies are cutting checks for an excessive number of claims over what it did in 2000, or into the insurance exec’s pockets, if they are not…. As a grand experiment, Delaware should allow anyone to buy into its Medicare option as an option for meeting the required claim to have Medical Insurance. The graph simply shows why. Will Kinder Morgan Be Delaware’s Next DuPont? Kinder Morgan is a pipeline company. It is the fourth largest energy company in America, behind Exxon-Mobile, Chevron, and Conaco-Phillips. Though it was spun off from Enron, a point of contention which many opponents point to, it was started by those who saw to where Enron was headed and jumped the ship in port before Enron began its fateful run. In fact, it employs the whistle blower who reportedly sank Enron. So get that comparison out of the way. KinderMorgan is not Enron. It IS the fourth largest energy business in America. Which shows how little we really know about it. For Kinder Morgan likens themselves to a toll road. No matter whether the price of gas goes up. or the price of gas goes down, as long as it gets transported by the fourth largest energy company, it makes money. Kinder Morgan transports energy. Which is why it wants to come to Wilmington. Big company. Little state. Equals coercion. Today, most people have no idea what the Dupont reference means in the title. That is amazing and really shows how far things have come in thirty years… Without exaggerating too much, it would be safe to say, Dupont owned Delaware’s government, and got anything it wanted. For that privilege, mind you, they loved us and bestowed upon us many gifts, including our double laned highway stretching from Delmar to Philadelphia Pike… now named the Dupont Highway… In all honesty, one of the things that makes Wilmington such a great city, and makes Delaware one of the best states, is the generosity of Dupont bestowed upon this state with the second smallest landmass. It came with a price. Our toxic waste dumps. Our cancer rates. Our brownfields. These were bought by Dupont’s gifts to those running our state. Vote to allow Dupont to dump toxic chemicals on a piece of land and get a museum as a bonus. Really how can anyone say no? 38 years later, no one remembers the museum, except that their school may have went there on a field trip. And that is hard to even remember while busing mom to her radiation treatment center, and taking the kids to AI Dupont for their bone marrow transplants… And with all the Advil you have to take to keep the throbbing bearable in your own head, it is a miracle that you even remember anything.. Choices have consequences. Every marriage has its cost. It becomes a moral issue, now. Should Delaware divorce the marriage made to its high school sweetheart, the one with a long high school and college courtship? The one both families have gotten used to? The one spawning four children? The one supporting a church, a PTA, the Food Bank, the fight against diabetes, with volunteer effort, because a new suitor just happened to notice you and wants to play? A big name like Lindsey Lohan wants to marry Delaware. She will bring a lot to the table. The question is, just as if the suitor were Lindsey Lohan, the benefit is very short term. The cost, will be on-going for the rest of our lives…. Is there a chance that such a marriage will work? There is always a chance…… but .. nope. Not in this case. There will be a Kinder Morgan port with liquefaction plant somewhere on the east coast. It can either be in the Delaware Bay or the Chesapeake Bay. There is so much gas being found in the Marcellus Shale region of Pennsylvania right now, estimates of a massive 100 years worth, that to get a higher price for it one has to go overseas. Europe is starving for gas. Russia keeps turning their supply on and off. 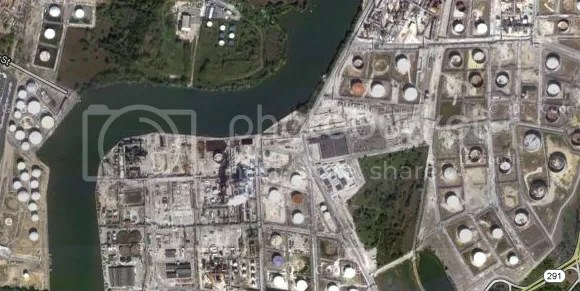 Someone will need a gas port on America’s east coast and the cheapest spot is between north of the C&D Canal, and Philadelphia…. A pipeline from the terminal at Coatesville to Wilmington is rather cheap, and with minor adjustments, LNG (Liquid Natural Gas) ships docking in Wilmington will soon carry their explosive cargo to Rotterdam, Hamburg, and Sagunto, Spain. .. This construction will be done with non-union labor brought up from Texas. Existing contractors with whom Kinder Morgan are familiar. Costs per mile, payment plans are already locked down. Gradually Southbridge with the help of Delaware’s General Assembly and the blessings of the next generation of chief executives, will be bulldozed and turned into the next Marcus Hook. It is inevitable. Europe’s lifestream will flow through Delaware. Shipping is not as dependable as are pipelines and storage is a key component… Fill the tanks when the price is low; sell the contents when the price is high. Are the details not as bad as the hype? Well, whenever that scenario occurs, details usually are leaked out for the very reason the are used TO SWAY OVER the public… Since they aren’t leaking, someone is trying to present a fait accompli. Speculation is always rampant when there is silence. The best way to combat irresponsible speculation is to release the actual details. Let people know what to expect before the deal is done. Just perhaps, their objections may open your eyes to a possibility previously unconsidered, that could, if found out too late, wreak havoc with our daily lives!